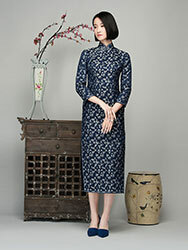 name: Improved QiPaoDescription: improved cheongsam dress, standing collar with slit at front. Two butterfly buttons on the slit. 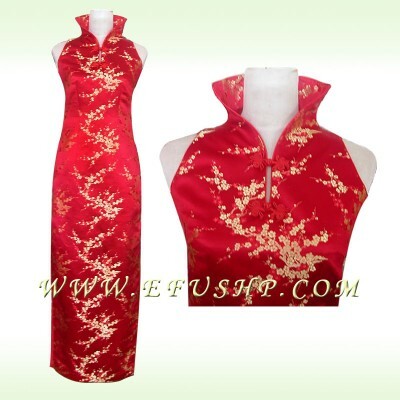 Elegant style will expose some of your beautiful shoulder. Red piping, double slits. Side zipper, sleeveless, ankle length. Golden plum blossom on red silk brocade satin. If you want to change the color, please contact the staff at first. Is there any other colours available in this design?